New US sanctions would show Iranian leaders that diplomacy cannot end the nuclear standoff. On December 19, 2013, 13 Democratic and 13 Republican U.S. 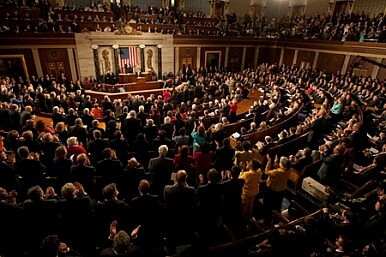 Senators introduced a bill entitled “The Nuclear Weapons Free Iran Act.” The legislation aims to impose new oil and financial sanctions on Iran if it fails to uphold its end of the interim agreement struck with the P5+1 powers in Geneva in late November. Further, the bill calls for additional sanctions if Iran fails to completely dismantle its nuclear program within a year, which Tehran is highly unlikely to do. It also pledges U.S. support for Israel in the event that it takes unilateral military action against Iran. The bill was introduced despite the Obama administration’s repeated requests that Congress not impose new sanctions while negotiations play out. Since its introduction, 10 Democratic Senators, all committee leaders, have sent a letter to Majority Leader Harry Reid to express their opposition to the measure. A December 10, 2013 intelligence assessment stated plainly that “new sanctions would undermine the prospects for a successful comprehensive nuclear agreement with Iran.” The White House promises to veto the bill, but as many as 54 senators now reportedly support the measure. The House of Representatives has already approved a similar bill. Tehran, however, has made its opposition to the legislation clear. After the bill was introduced, 100 hardline Iranian parliamentarians drafted their own legislation that would force their government to enrich uranium to 60 percent—near weapons grade—if the United States imposes new economic penalties. Several American experts have identified compelling reasons why new sanctions against Iran are unwise. Colin Kahl has argued that sanctions are unnecessary, provocative, violate the spirit of the Geneva agreement, and may empower Iranian hardliners, such as the IRGC. Edward Levine has identified as many as seven ways that new sanctions will undermine the interim accord and may derail diplomacy. Kahl has also demonstrated that there is “no linear causal relationship” between sanctions pressure and concessions, arguing that sanctions and political dynamics within Iran combined to produce November’s diplomatic breakthrough. All of these arguments suggest that new Senate-imposed sanctions against Iran would be bad policy. They would, however, also be bad strategy. Allow me to explain. The basic logic underlying the new sanctions bill has been articulated by one of its sponsors, Senator Robert Menendez. “Current sanctions brought Iran to the negotiating table,” Menendez avers, “and a credible threat of future sanctions will require Iran to cooperate and act in good faith at the negotiating table.” Senator Mark Kirk, another sponsor, has suggested a similar logic, arguing that the threat of additional sanctions will “motivate the Iranians to negotiate honestly and seriously.” The basic structure of this argument is not prima facie unreasonable: Years of tough sanctions helped produce a positive outcome at Geneva; a bit more coercion may produce an even better one in the months ahead. The trouble with this argument, however, is that it ignores the strategic logic that underlies the sanctions regime, or any serious effort at coercive diplomacy. Sanctions aim to use economic punishment to produce a change in political behavior (in this case, abandoning a nuclear weapons pursuit) in a target country (Iran). This makes them a form of coercion. As venerated strategist Thomas Schelling reminds us, however, successful coercion does not consist exclusively of threats and punishments. To paraphrase Schelling, if an armed defender confronts an adversary with the threat “Not one more step forward or I’ll shoot!,” there is also an implicit promise in this statement—if the enemy does not move, the defender will hold fire. Any credible coercive threat must adopt a similar structure: Not only must there be a clear threat of punishment on display, but a route by which the adversary can avoid that punishment and back down. There has to be a credible assurance outcome that is more preferable to the target than the continued punishment outcome. If one sends only threatening messages, or couples those threats with promises that the adversary cannot possibly believe or act upon, than one’s foe is left with little choice but to persist with the unwanted behavior. Let’s apply this logic to the case of Iran. For the past few years, the United States, its European allies, and countries worldwide, have constructed what is arguably the most exacting sanctions regime in history. While it may be a mistake to argue that sanctions are the sole reason that Iran came to the negotiating table, there is no question that the regime, combined with Mahmoud Ahmadinejad’s woeful mismanagement, has crippled the Iranian economy. When Hassan Rouhani took office and was given permission to attempt negotiations with the West, he was not just responding to this economic coercion, but to the implicit promise that if Iran verifiably halted its nuclear weapons pursuit, there would be some sanctions relief. Menendez and Kirk may, therefore, be at least somewhat correct that years of economic coercion helped to bring Iran to the negotiating table, but they seriously err in their assumption that this means that more threats would yield greater progress. If the Senate imposes new sanctions, despite the Obama administration’s promises at Geneva to avoid this to the greatest extent possible, it would dial up the coercive threat. At the same time, it would reveal that concomitant American promises—in this case, moderate sanctions relief in exchange for cooperation—are not credible. An even bigger problem is the fact that the new sanctions bill requires that Iran dismantle enrichment entirely before getting further sanctions relief, which is highly implausible. By Schelling’s logic, this legislation would leave the Iranians with little choice but to conclude that diplomacy does not offer them a viable way out of the nuclear standoff, and encourage them to persist in precisely the behavior that the United States has spent years trying to halt. President Obama, Secretaries of State Clinton and Kerry, European allies, and numerous countries worldwide have spent years constructing a sanctions regime that aimed to induce the Iranians to negotiate, in hopes of eventually preventing an Iranian bomb without having to resort to war. The Geneva breakthrough in November, however modest, suggested that coercive diplomacy might finally be bearing some fruit. New sanctions would demonstrate that American coercive diplomacy, in fact, contained only punishments and no credible assurances of relief, leaving the Iranians with few options but to persist in their quest. With the Joint Plan of Action now set for implementation to begin on January 20, this is not just poor policy on the Senate’s part. It’s abysmal strategy. Push sanctions too far and China may decide that it’s past time to challenge U.S. financial and legal hegemony.